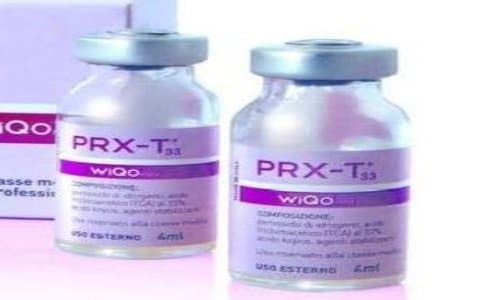 PRX –T33 is a new bio-revitalisation method. It doesn’t require injections and is comfortable for the patient, giving immediately visible results. PRX –T33 combines TCA (trichloroacetic acid) and hydrogen peroxide. 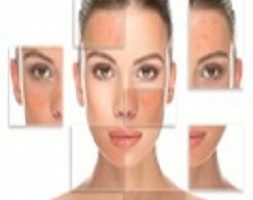 This pairing chemically stimulates the dermis, as well as growth factors for fibroblasts, without having to exfoliate or slough the epidermis. - Scars, stretch marks (nevertheless, for these indications, I prefer the laser). First we clean the skin, then we apply a small amount of products on a limited part of the area to be treated and do a massage until absorption. The application is repeated until the desired effect is obtained (visible and palpable turgidity), 3 passages on average are necessary to obtain this result. We proceed zone by zone until all the surface is treated. The residues of the gel are removed with a cotton pad soaked with water; immediately after, the skin is smooth and swollen. A generous dose of nourishing and moisturizing cream is then applied. Depending on the indication, one session a week or a month is required. Side effects are rare and transient. Skin hypersensitivity and redness may last for a few minutes on sensitive skin. Thanks to the PRXT33 peeling my skin earned a radiance and luminosity and cutaneous imperfections were fixed. I’m very pleased with this treatment. Thank you Doctor Romano. The PRXT33 peeling erased my wrinkles and treated the skin surface irregularities. Thanks Doctor Romano. After a deep overview of my skin Doctor Romano recommended the PRXT33 peeling. The skin on my face is more luminous and hydrated! The skin of my cleavage didn’t please me, the PRXT33 peeling revitalized and smoothed it! I’m delighted with Doctor Romano’s treatment.